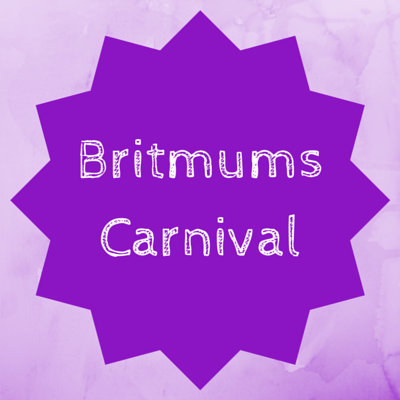 I’m really pleased to be hosting this edition of the Britmums Carnival. I have loads of great posts to share with you from the last four weeks, some I’m very familiar with and others that are brand spanking new to me too. To read the post yourself just click on the name of each blog. First up we have Sarah, who blogs over at Run, jump, Scrap! Sarah has been contemplating whether, now that she’s 30, there is anything she needs to change about herself. Personally I think if you do something that makes you happy, be that shopping in New Look, loving One Direction or not chopping off your long flowing locks. Then keep at it. I often wonder if I need to start ‘dressing my age’ but then I stick my jeans, tshirt and hoodie on and forget all about it! I can stop wasting my time trying to do all of the things that I think should make me happy but don’t. I will not follow the crowd. I will value highly the things that I find fun and make me happy. There seems to be a lot of bloggers evaluating their lives this month as Katy, from What Katy Said, has also been thinking about not worrying about what everyone else seems to have in life and being grateful for, and making the most out of, what you do have! She also makes a valid point that people often only share the best bits on social media. But honestly? I think all these picture perfect images on Instagram and Pinterest will usually have a pile of stinky socks about a foot to the left and all the dirty washing piled up in the sink behind the camera! Jess, from Mummy of Boy Girl Twins has also shared some of her top tips. Blogging can be a very lonely past time and many people struggle to get out there and get the posts that they worked hard on the publicity they deserve. Jess’s post will show you how to increase your confidence in your own blogging abilities. Some families have been braving the cold and wet and getting the kids out and about. Karen, who blogs at Mini Travellers took her three to see the Octanauts live. Although not the cheapest day out it seems they were were totally captivated by having life size octanauts on stage! I think there may have been a slightly tearful moment with an erupting volcan0, but luckily everything turned out okay. Another family off gallivanting was Sarah’s, from Extraordinary Chaos. They were lucky to get a tour of Leeds and Sarah has put together a list of 10 things to do in the city when you have kids. I think mine would love the Thakray Medical Museum the most, although Lee ‘doesn’t do gory’ so he may need to stay outside! Among other great (and slightly warmer) activities, Rachel from Life of My Family and Me, really did brave the winter weather and went to Chessington World of Adventures. At least the cold weather meant that it was quiet and they got to watch the sea lions display. One blogger who will be jetting off to warmer climates pretty soon is Stephanie who blogs over at Diary of a Midlife Mummy. She’s written about all the things she’s looking forward to in 2015. Her family will be doing lot’s of travelling but I am extremely envious of her jetting off to South Africa next month and am hoping she will send some sun and warm back this way. I love reading a really funny blog post and Kat, who blogs over at Beautwins wrote a hilarious one that also had lot’s of mums nodding their heads in agreement. It is a list of all the things that happens when you enter the motherhood club. I’m always doing number 5 and 6, oh and 7. Actually it ALL applies, have a read and you’ll see what I mean! Another one that had me giggling was Karen’s ‘Whats in my Handbag’ post. I think the title ‘Handbag Horror’ says it all really. I have visions of her walking round with pockets full of seedlings, you’ll have to read the post to find out what I’m on about, Karen blogs over at Stopping at Two. One of the things us mothers seem to do a lot of is crafts, especially when you have preschoolers in the house. It’s quite hard to keep babies happy and occupied while you are helping create masterpieces or bake cookies but Amy from Everything Mummy has come up with an ingenious solution using two simple ingredients to make baby safe playdough! At last Lottie is happy creating her own, safe, messes. Of course when your preschooler grows up into a fully fledged ‘schooler’ there are still plenty of activities to do at home that are not only a lot of fun but offer some educational value too. Amelia from The Appletree has shared with us a list of her top ten educational activities. Number 10 would have to be my favourite! One little school girl who should be very proud of herself is Lili. Heledd, from Running in Lavender, has one very excited little girl to FINALLY get start of the week for ‘doing good reading’! She even got to bring home the class bear and fill in his diary with all their adventures. And we have come full circle and are back to the wonderful emotion that is happiness. Katie of Life on Vista is sharing a lovely selection of photos of things that have made her happy this week. Number 4 made me giggle but it also makes me extremely happy to know that I personally got to share in numbers 6, 7 and 8! Our final link belongs to the lovely Mrs H from Mrs H’s Favourite Things. Right back on the first of the month she wrote this post about her happy days. Just for a heads up they are filled with welly boots, muddy puddles and a date night out with the hubby. Sounds like a great week to me, although I’m not sure about the ‘blackout night’! What a LOVELY post Katie!! It’s lovely to see what everyone’s been up to in one fell swoop. You’ve featured some fab blogs on there — some of my favourites! !